Music channel Planet Pop has been suddenly withdrawn from the Freesat channel line-up today. The channel, which replaced Massive R'n'B in March 2013 was available on Freesat channel 511. At the time of publication, the channel's social media accounts still refer to distribution via Freesat, but both Twitter and Facebook accounts have not been updated for several weeks. No further information about the change is known. Freesat says the withdrawal was at the broadcaster's request. 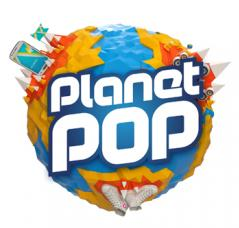 Planet Pop was launched in March 2013 by All Around the World Productions (AATW) as a sister channel to Clubland TV, which still remains on Freesat. Stablemate Channel AKA was pulled from Freesat in April 2013. True Movies 2 has rebranded itself to "True Murder" for the next fortnight. The channel promises it will showcase "some of the most compelling murder stories ever told – the difference is that these are not from a pen, but from true life occurrences."